With this design done by another company and the website not performing in the search engines, Workscreen came to us to rebuild the website on WordPress with SEO elements included. The design was transferred successfully and the keywords the website was supposed to be performing well for it is now at the top of Google. 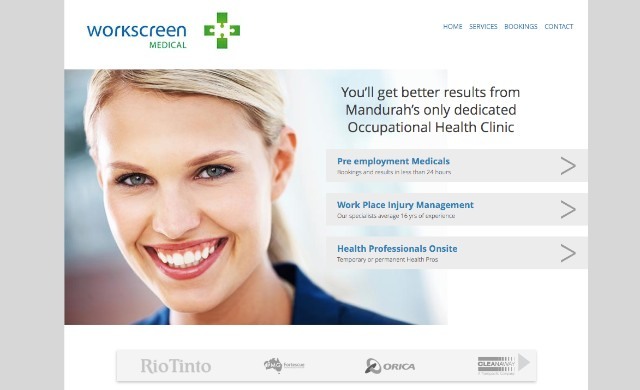 Occ health Mandurah being the primary target keyword.